A re you ready for some new furniture? Buying new furniture for your home can involve a significant amount of money. It’s simple to replace. There are stores all over the place, as well as online businesses, that want to help you out. An update is in order. It happens to all of us every 5-10 years or so. Purchasing new upholstered furniture can be a lot of fun, but if you are hoping to keep your project at a lower cost, you may be surprised what you’ll get. We all need an update from time to time. First, you probably need to brainstorm for ideas. You want to be sure that whatever you are buying is suitable for your own personal tastes. Questions before you buy new furniture? Your sofa or chair cushions showing signs of wear? If it’s leather, maybe the seat cushions are discolored, lighter in the seat area than the rest of the sofa or chair. If it’s fabric, see if the upholstery threads are pulling apart or discolored. If your furniture is showing signs of wearing, it’s time to consider new furniture or at least slip covering options. They’re holes in your furniture? You might be able to stitch or patch the holes if the rest of the piece is structurally sound. Otherwise, start thinking about new furniture. When you rise from the seat, does the cushion remain sunken? Check the springs to see if that’s the problem. If a broken or stretched spring is the culprit, the problem can probably be repaired, maybe even by yourself if you happen to be handy in that way. If the springs look okay, maybe you just need a new cushion. Take a cushion with you to an upholstery shop or fabric store to show the salesperson what kind of cushion you need to replace the bad one. It’s a good idea to take a good cushion with you so the sales person can help match the cushion to the firmness and density you want to replace the bad cushion with. The frame of your furniture still in good shape? If a sofa or chair has been dropped, it might crack a wooden frame. Flip your furniture upside down and take a look. Does your furniture sit level? If it’s not level, check the frame. Check the legs to make sure a peg is not missing. If you can’t spot the problem, it’s time to buy new furniture. 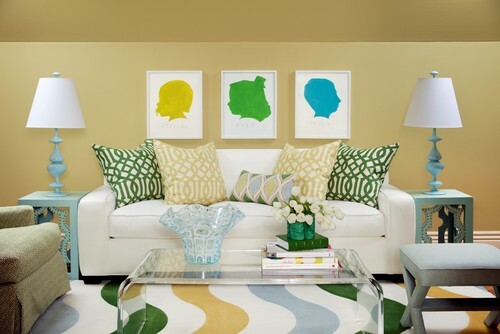 It’s the time to replace the old look of your furniture, decide if the update can be done with a simple slipcover. By measuring the furniture properly, a slip cover – either purchased ready made or custom made if your furniture has an unusual shape or curve to it – you can get a nice fit. Slip covers range in price starting at about $40. The better fabric you select, the higher the price. If you just want to update your furniture for a few more months until you save enough money to buy an all new ensemble, slipcovers are the way to go. Do you just want to? There’s nothing wrong with “wanting” new furniture. Look for solid pieces that will give your family many years of enjoyment and you’ll always be happy with your decision to buy new furniture! Do you really need it? Less furniture and little knick knacks mean less to clean, less upkeep and generally a simpler and easier day-to-day existence. Before you buy new furniture, consider recovering.